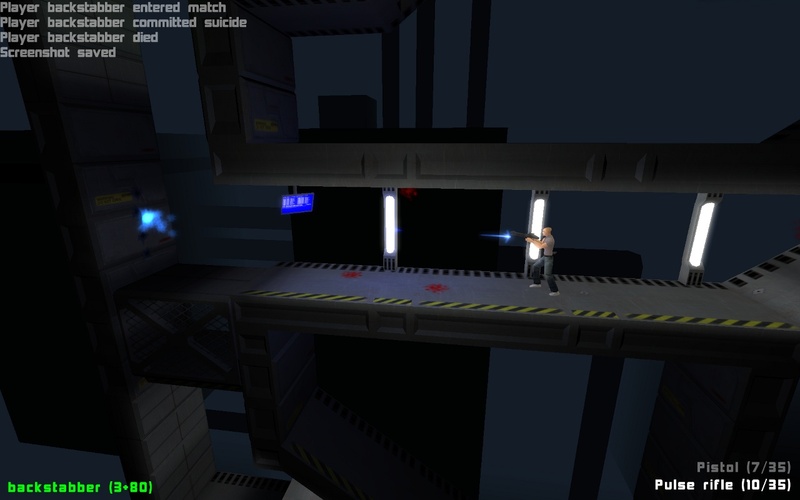 Linux game The Platform Shooter has been updated to version 0.2.0 alpha. 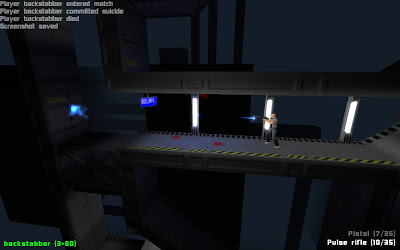 The Platform Shooter is a platformer style third person shooter with built-in level editor. It features a classic platformer style single player game where you must collect power cells and make your way to exit as well as multiplayer mode where can you fight against you friends online. This update brings many new features and fixes. A new weapon: Bolt gun. One more single player level. One more multiplayer level: The Loop. Totally reworked client side prediction: A lot smoother and latency free control on client. Load screen shown at start up while loading resources. Much better human fall animation. Aiming helper (laser sight) for most weapons. Fixed player getting stuck while pushing objects. Automatic stepping over small obstacles and steps. Single player level selection defaults to next uncompleted level. Next level name added to level properties in editor. Added directional blood splatter effect when human is hit by a bullet. Blood stains on nearby walls from player blood splatter caused by bullet hits. Added experimental mouse control (disabled by default). Made guards retreat when badly hurt. Fixed broken camera shake effect. Configuration file parsing made less strict on formatting. Fixed walk animation on moving platform/elevator on client. Fixed randomly missing shot sounds. Fixed lagging controls in single player game after multiplayer game. Prevented decals (bullet holes, blood stains) from overlapping. Bonus level score given for remaining player health. Added three more blood stain decals to add variation. Made certain static objects (e.g. green cabinet and monitor) receive decals. Added name tags on weapons.